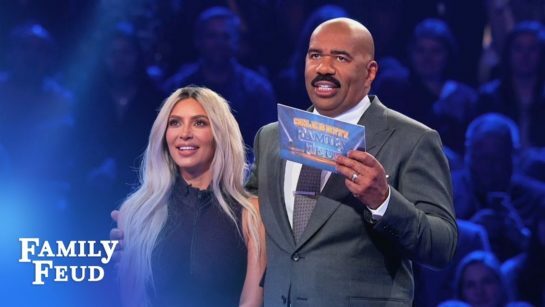 So yeah, Kim and Kanye were great on this Family Feud. Wonderful win for their charity of choice. But watch and it will become VERY clear what we are ‘here’ for. Steve knows, too. We’re here for Kim K and AAAALLLL… the RATINGS!! !